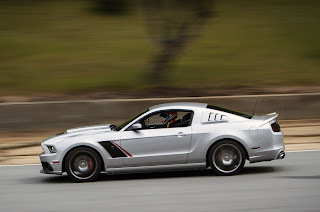 Roush Performance will be entering their recently launched 2013 Stage 3 Mustang in the 2012 Tire Rack One Lap of America event scheduled for May 4th through 12th, 2012. As the One Lap website states, “The Tire Rack One Lap of America event is the toughest 8 days of racing featuring the fastest street-legal cars on America’s most challenging racetracks!” The Roush Performance engineering team has packed impressive horsepower, styling and handling performance into the redefined 2013 Roush Stage 3 Mustang. 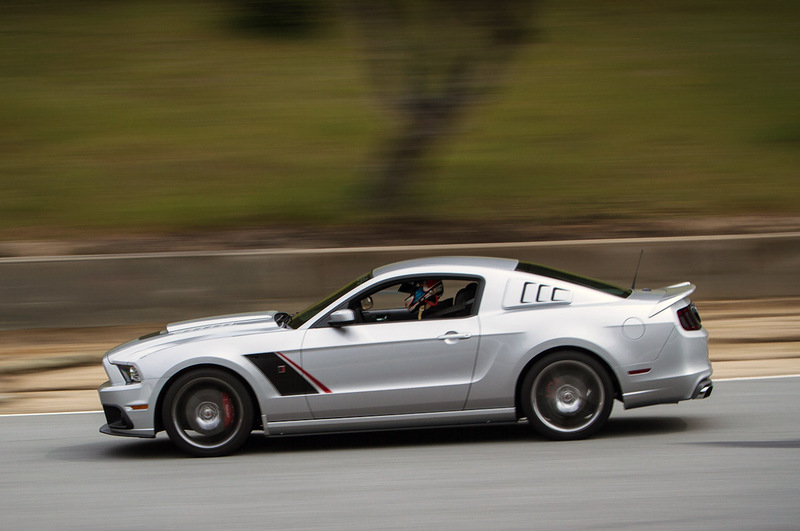 The supercharged 5.0L engine now produces a whopping 565HP and 505 ft/lbs of Torque. The all-new Roush Stage 3 graphics and body kit presents a menacing stance and appearance, and the Roush race-inspired suspension puts the power to the pavement while on the track or street. Roush Performance is pleased to announce that Evan Smith (Editor, Muscle Mustangs and Fast Fords) and his co-driver Jeff Lacina (Owner, Track Guys DETROIT MUSCLE | REDEFINED Performance Driving Events) will be piloting the 2013 Roush Stage 3 Mustang during this year’s event. This entry was written by by Novocaine (Ford Mustang) and posted here on Monday, April 30th, 2012 at 5:36 am and is filed under Reviews. This article was not written by us, rather gathered using RSS feeds listed here. We take no credit for this article. You can leave a response, or trackback from your own site.